Isiah Factor | The Insite » WE ALL CAN COME OUT AND PLAY IN HOUSTON MONDAY! WE ALL CAN COME OUT AND PLAY IN HOUSTON MONDAY! 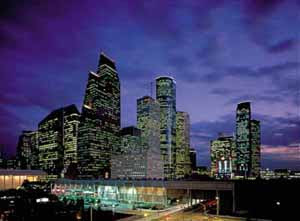 September 20, 2008 | Posted in Uncategorized | Comments Off on WE ALL CAN COME OUT AND PLAY IN HOUSTON MONDAY! CITYWIDE CURFEW COMING TO AN END! The citywide curfew put in place following Hurricane Ike will end at 6 a.m. on Monday (September 22), the same day Houston police ask for motorists to plan their drive times ahead and be extra patient when encountering malfunctioning traffic signals. The curfew hours in Houston are 12 midnight to 6 a.m. for today and tomorrow (Sunday). The purpose of the curfew is to protect the lives and property of all residents as law enforcement and other officials respond to emergencies and engage in recovery activities related to this disaster. Therefore, if you are commuting to and from work, operating a business, or eating at a restaurant, for example, you should not have a problem this weekend. However, you can expect to be stopped and questioned by police. Violations of the curfew are punishable by fines of up to $500. 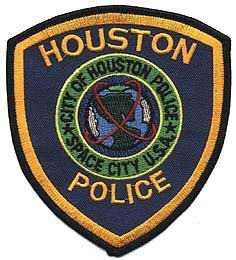 Because more citizens are expected to be heading back to work and some schools on Monday, Houston police want to remind motorists they’ll likely face traffic congestion at those intersections where signal lights are not operating. These intersections should be treated as four-way stops and motorists should yield to those who arrive at the stop first. DUE TO THE EXPECTED SIGNAL OUTAGES, HPD URGES COMMUTERS TO LEAVE FOR YOUR DESTINATIONS EARLIER THAN YOU NORMALLY WOULD ON MONDAY MORNING AND SUBSEQUENT MORNINGS TO GIVE YOURSELF PLENTY OF TIME TO GET TO YOUR DESTINATION. ABOVE ALL, WE ASK ALL HOUSTON AREA MOTORISTS TO BE PATIENT AND AS COURTEOUS AS POSSIBLE.